﻿ The AVR Hotel & Banquets, Patna | FROM $36 - SAVE ON AGODA! Have a question for The AVR Hotel & Banquets? 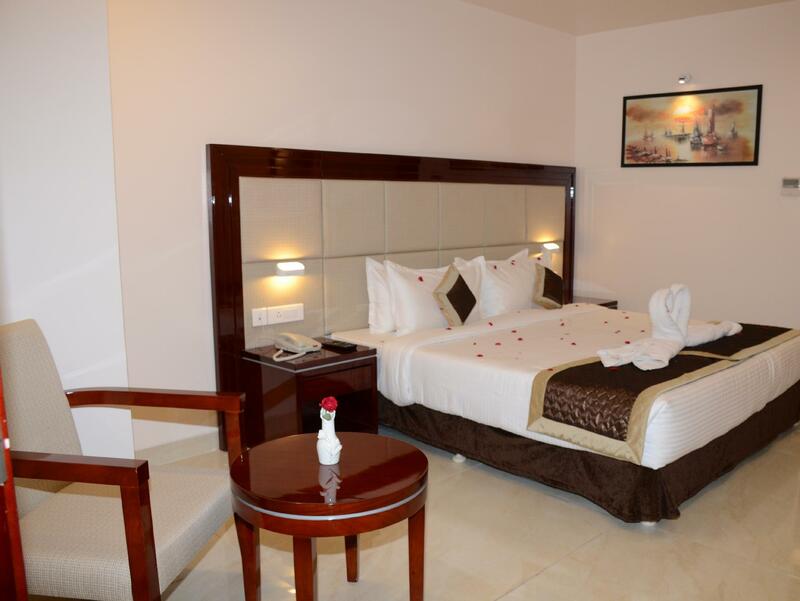 Conveniently located in Patna, The AVR Hotel is a great base from which to explore this vibrant city. The excitement of the city center is only away. With its convenient location, the hotel offers easy access to the city's must-see destinations. At The AVR Hotel, the excellent service and superior facilities make for an unforgettable stay. To name a few of the hotel's facilities, there are 24-hour room service, free Wi-Fi in all rooms, 24-hour security, convenience store, daily housekeeping. All guest accommodations feature thoughtful amenities to ensure an unparalleled sense of comfort. Throughout the day you can enjoy the relaxing atmosphere of the yoga room, fitness center. Whatever your purpose of visit, The AVR Hotel is an excellent choice for your stay in Patna.